Please click here to access the Paralegal of the Year nomination form. When complete, it can be sent to the address indicated at the end of the form. Good luck to all nominees! PAR is excited to announce that we are hosting the 2019 NFPA Convention in October 2019. Attendees of the convention will include paralegals that are members of NFPA members associations from across the USA and JAG representatives. The convention will have terrific exhibits and the NFPA Annual Policy Meeting, as well as a Friday night dinner and tour of the George Eastman Museum. We are excited for this first-time opportunity and will provide more information as it becomes available. 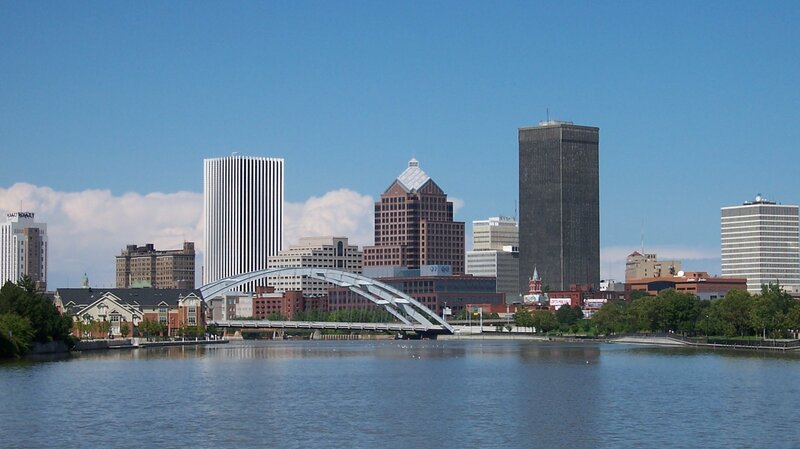 The Paralegal Association of Rochester, Inc. (PAR) is a not-for-profit organization serving paralegals and the legal community of the Greater Rochester Area since 1975. Membership is open to qualifying paralegals, legal assistants, paralegal students, paralegal educators, and others throughout the Greater Rochester Area. For more information, please visit our Membership page. 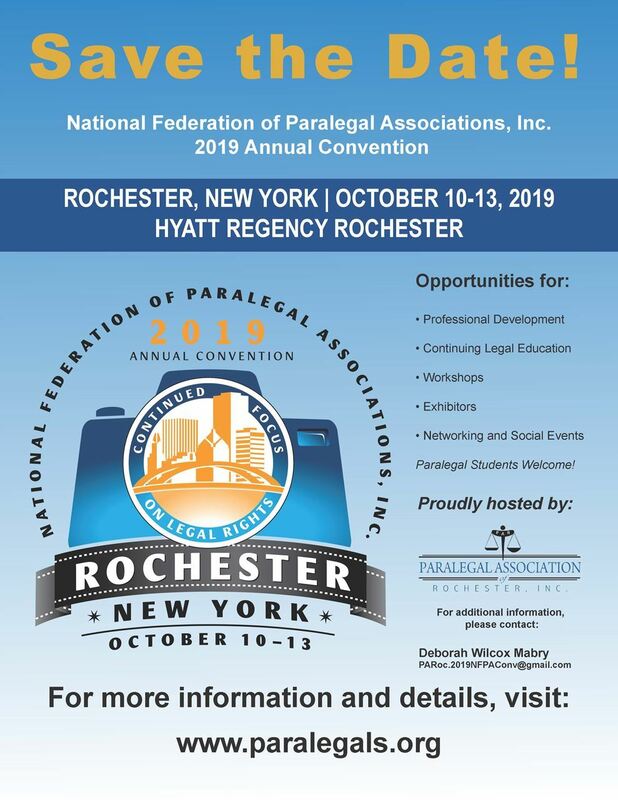 PAR is a member of the National Federation of Paralegal Associations, Inc. (NFPA) and the Empire State Alliance of Paralegal Associations, Inc. (ESAPA). NFPA is offering a 2019 TRU Staffing Partners Scholarship program. Please click here for more information. NFPA's 2018 Annual Convention and Policy Meeting is scheduled for October 25-28, 2018 in Seattle, WA. Please click here to visit our events page for more information or visit the NFPA website at www.paralegals.org. PAR is pleased to announce that it has established a partnership with Casa Larga Vineyards. Please click here for additional information and/or visit Casa Larga's website at https://www.casalarga.com/par/. The Paralegal Association of Rochester, Inc. (PAR) is proud to announce that Bonnie Brooks received the 2018 Paralegal of the Year Award. Bonnie is a Senior Litigation Paralegal at Woods Oviatt Gilman LLP and serves on the PAR Board as the Director of Website/Employment. 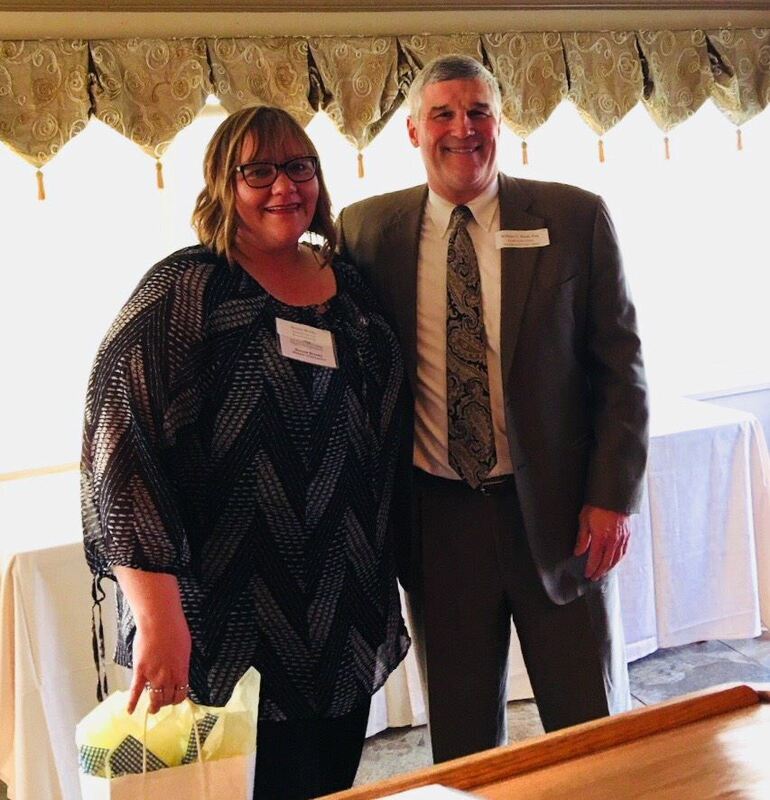 The award was presented to her by William G. Bauer, Esq., a partner from Woods Oviatt Gilman LLP, at the PAR Annual Dinner held at Joey's Party House in Penfield on May 23, 2018. Mr. Bauer spoke highly of Bonnie and mentioned she could also be "Teacher of the year or Employee of the Year…." It is an amazing honor that is well deserved. Congratulations Bonnie! Thank you for all of your efforts in PAR and the paralegal profession! Operation Gratitude - PAR is honored to partner with NFPA and NFPA's Pro Bono and Armed Forces Committees in a corporate partnership with Operation Gratitude to send care packages to our U.S. troops, first responders, veterans, military families and wounded heroes & their care givers. The care packages will include entertainment, hygiene and handmade items, non-perishable snacks and personal letters of appreciation. It is our privilege to express our gratitude to those who serve. We will collect care package items from our members and attendees of future events. For more information on Operation Gratitude, please visit www.operationgratitude.com. NFPA Spotlights PAR - As many of you may read in NFPA's February 21, 2018 News You Can Use, PAR was honored to be the Spotlighted Association. Please click here to read the entire article submitted by PAR's NFPA Primary Representative, Deborah Wilcox Mabry. We are proud to welcome you to our new website. Members may access the Members Only section by logging into the website at the upper right of the screen. Are you getting the most out of your membership? Check out the list of Member Benefits and NFPA member benefits to ensure you aren't missing out on our affiliates' services, CLEs, discounts and more. Summer 2017: E-Filing shall be MANDATORY for all “basic civil” Supreme Court filings (civil filings that are NOT: matrimonials, foreclosures, mental hygiene, Article 78 and habeas corpus matters). As defined by the National Federation of Paralegal Associations (NFPA), a Paralegal is a person, qualified through education, training or work experience to perform substantive legal work that requires knowledge of legal concepts and is customarily, but not exclusively, performed by a lawyer. This person may be retained or employed by a lawyer, law office, governmental agency or other entity or may be authorized by administrative, statutory or court authority to perform this work. Substantive shall mean work requiring recognition, evaluation, organization, analysis, and communication of relevant facts and legal concepts.